Digital identity is seen as an integral enabler of the Internet of value. Over the past 5 years, digital methods have increasingly become the preferred means of transactions, that include payments, remittances etc. Statistics point out that in a traditionally cash friendly country such as India, digital transactions have exceeded the cash transactions in FY2015. Studies have analyzed positive impact of digital identity on GDP, tax and employment. A recent study by Boston Consulting Group points out that digital identity can bring governments across the globe up to $50billion in saving by 2020. This growing prevalence of digital identity brings along the need for regulatory measures to ensure that the information is handled responsibly by both private and public sectors. While trust is a primary factor for digital identity to succeed, there exists a need to validate or ensure an identity claimed by individuals involved in a transaction. Several regulatory bodies have been initiated by countries across the globe to regulate this validation. In United States, National Strategy for Trusted Identities in Cyberspace (NSTIC) has taken up the initiative to create secure online identities for Americans. EU formed the eIDAS for the development of regulations on digital identity and UK started the Identity Assurance Program (IDAP) which is a government certification program to authorize private sector companies to act as digital identity providers. Regulations and the initiatives started so far in this space are good for the adoption of digital identity. They cater to the two important reasons for the need to regulate, viz uncertainty and public good3. Public need to be assured that their identity is safe with the identity holder. They also need to be confident that, in their transaction with their peers, they have a valid and trustworthy digital identity to validate. Hence in my view, the regulatory initiatives so far address the primary concerns of the public. However, the problem also arises when there is a need for cross border transactions. Paper identity has clear boundaries; like a driver’s license in your country being exclusive to your country. They are also regulated well by the government with valid background check. Digital identity on the other hand has loose boundaries in the Internet world. Also, different countries have different visions on what an identity is and how they can be regulated, albeit it all ultimately gets accessed globally. The challenge for the growth of a venture in Digital Identity will be due to the fact that there is no common consortium that can regulate identity globally. Challenge also lies in the fact that banks continue to be the party responsible for the identity, albeit it being issued by the states and countries. Although there have been measures to create a private sector worldwide identity and authentication system (FIDO – Fast ID Online), the adoption has been slow. Digital Identity is the key to the growth of digital economy and Internet of Value. A comprehensive regulation carefully crafted to avoid too-big-to-fail ventures, such as the passport systems regulated by ICAO (International Civil Aviation Organization) ICAO (International Civil Aviation Organization) can go a long way in enabling a paperless digital world in the future. I’m sure the image that you see above has become quite a familiar sight across America. Apple stores have been flaunting a similar version for quite a while now, which almost resembles the Mophie . I first noticed this at Conshohocken Cafe , a quaint little breakfast place at Conshohocken, PA. Square , as they call it, they started to make money through the 2.75% transaction fee charged per swipe. Now my post was not particularly to about the Square, but instead, the Square Stand , that was announced today. 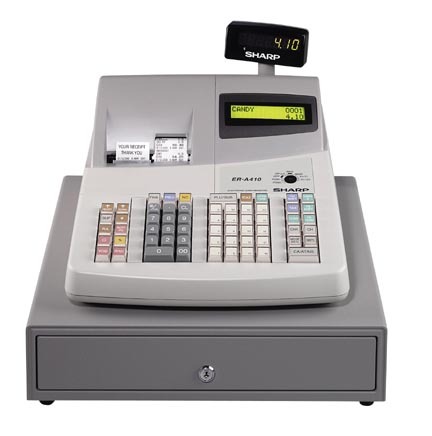 At $299 a piece and a $499 iPad, this can replace the traditional cash registers in a blink of an eye. 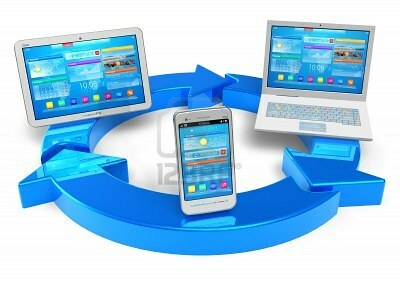 Sounds quite simple, as we start to see more and more dependency on the mobile device . But wait, there is more. The exact same day, Paypal decides to announce its revolutionary product know as the Cash for Register . With a free credit/debit/paypal processing for the rest of the year for any qualifying US Business, we now have a competition! The era of cash registers which opens up a “slot machine” of quarters and pennies is slowly disappearing. 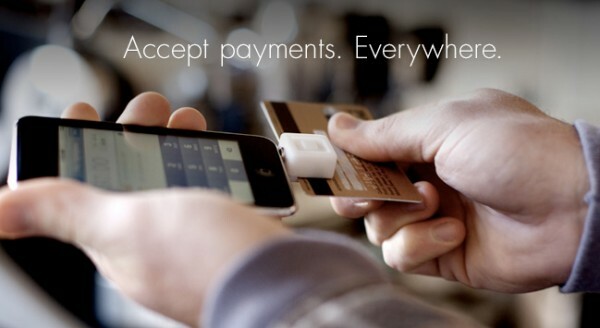 Whether its paypal or square, the digital revolution has spared none. Soon the traditional cash registers will just be a piece of antique in the museum! The hype has been immense. Wearable gadgets have slowly started to turn into the new fashion statement. Soon carrying a smartphone in your pocket might no longer be enough for a common man! 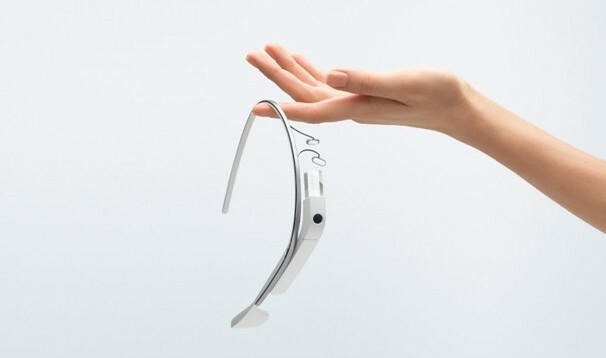 In fact, the idea of a wearable gadget started long ago when Pranav Mistry introduced his concept back in 2009. For those who haven’t had a chance to watch the presentation, it sure is a must see. It soon started to evolve. Although not quite in the way Pranav had envisioned yet, we started to see and hear rumors about multiple flavors of what can be classified as a wearable gadget. Soon bands such as the Jawbone Up and Nike Fuelband started to crop up, gaining a significant market share amongst the exercising consumer community. So did the rumors of smart watches . And then came the Google Glass . Ever since the revolution of the search, Google has been trying to play the game of catch up, right from its gmail service, through android and smartphones to social networking. And finally, they seemed to have found a product line that could possibly be called unique! Built on its ever evolving Android platform, it does provide a possibility of a rather near-seamless integration with the smartphones, while in “transition”. And on April 27th 2013, they quietly released the source code to developers. Needless to say, the plethora of applications that ran on smartphones, started to send out rumors of their “glass” versions. Twitter perhaps was one of the first to jump onto the band wagon with NY Times in a close second. There was then the announcement of apps such as Evernote, Skitch and Path which google demo-ed at the SXSW 2013 . The possibilities are limitless. And perhaps one day the eyeglass industry would be transformed as much as the watch industry would soon be. In the meantime, let me leave you with Tim Stevens as he chronicles his days with the Google Glass! I’m sure this is a topic that has been torn apart “n” number of times, that my post would perhaps be an overkill. The convergence has been long time in the making. In fact the talks gained traction, back in 2010 when the iPad started making its way into the market. However after reading through several of them, I still find myself debating whether to make my next purchase a smartphone, or a laptop or a tablet. The problem began when Apple decided to come out with the iPhone 5 and the iPad mini. I started to feel rather antiquated with my 2007 Macbook, the earliest version of iPad and a relatively new iPhone 4. Decision making was always a harsh thing to do. And when you finally make a firm resolve to curb your splurging instincts, it becomes even harder. That’s when I decided to list down everything I do on all these devices in an effort to make an “intelligent” decision. And what can be a better place to “log” it than a blog. Moving to iPhone5 was a relatively simple decision, especially since my old phone suddenly decided to start giving me “button” issues. To add on to my miseries, my macbook started to wear out gradually due to overuse and Apple decided to alienate the old iPad by not supporting iOS6 on it! That’s when I started thinking about my next purchase – A tablet or a laptop. Let me give you a little background here. When I bought my iPad, my intent was to replace my laptop. With a desktop that I could make a remote connection to from my iPad, I had little trouble in convincing myself that it was one of the best decisions. Apart from the countless hours I spent on a regular desktop (aka Windows) at office, when I get back home, I realized I did spend a large chunk of my time on these three gadgets. What I do basically spans across these broad horizons. Video and audio chat – Being away from my family, this has been an integral part of my life, mainly in the form of skype (for interoperability) and facetime, with occasional iMessage for screen sharing. Used apps/applications – Skype, iMessage, Facetime and WhatsApp. Web Browsing – The ever so wonderful world that the web has been, browsing never loses its charm. But the relevance of using a browser has significantly reduced over the past year, with most sites being “app”tized. Social Networking – Facebook (App and browser), Twitter (App), Linkedin (App and browser) and the rest of the crew. Banking – App and Browser. Searches – Google (Browser), Yelp (App) and the whole slew of content specific searching such as local cabs/metros, local trails, places of interest et al. Used apps/applications – Powerpoint/Keynote, Excel/Numbers, Word/Pages, textEdit/OneNote/EverNote/Notepad. Reading – Books have been a major part of my life. When shelves started to overflow, I reluctantly decided to go the “e” route. Used apps/applications – Kindle and iBooks for books, iBooks for pdfs. Music – Yet another indispensable component in my life, although it has been mainly limited to streaming these days. TV/Video online – Although I’m yet debating on moving away from a cable connection, I do spend more time watching news/videos online than viewing them on a television set. Coding – Not as prevalent when I get back home, but this does take a little bit of the time at home. 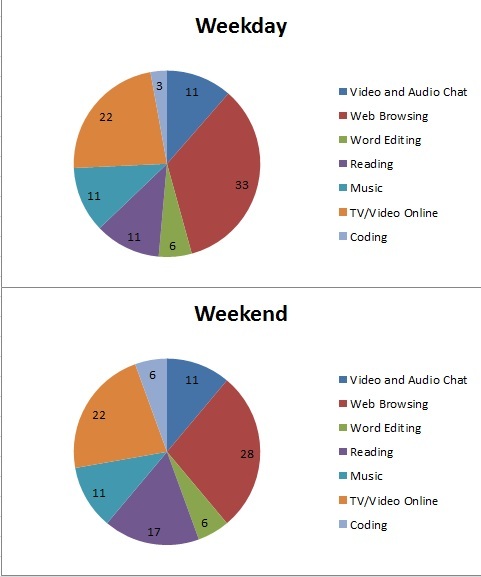 Here is how my time on these gadgets roughly gets distributed (number in percentages). I did mention earlier that my intent was to try and replace my laptop through a combination of iPad and desktop. However in the past two years, I haven’t been very successful at it, one of the primary reasons being the difference in typing speeds on a regular keyboard and a virtual one. I could potentially buy a keyboard that can attach to my iPad but then that defeats the purpose of a tablet. Add on the fact that most of what I do on a tablet can be done on a smartphone as well, with the obvious disadvantage of a smaller screen, the case for a new tablet become even less convincing. Having said that, I’m sure by now you all know that I do have a bias towards Apple products which means my potential budget for a laptop is slightly on the higher side as well. So it’s a choice between a $399, iPad “mini” and a $999 MacBook Air. Let me know what you guys think. I’m also interested in hearing what you use on on a daily basis. And so I’ve started a survey to hear your thoughts. There are no free iPads being given away, but I promise you that it will not take more than 5 minutes of your time.